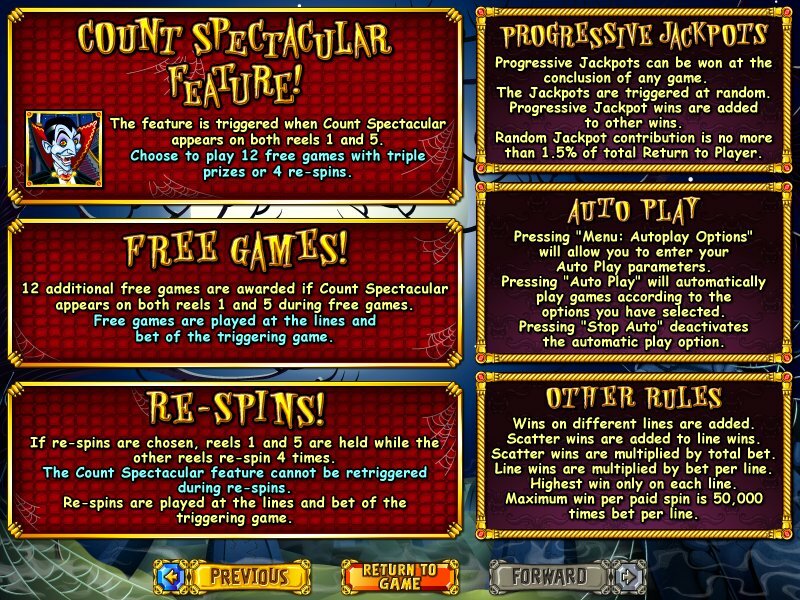 Overview: Get ready for a spookily good time with Count Spectacular, another great online slot machine. 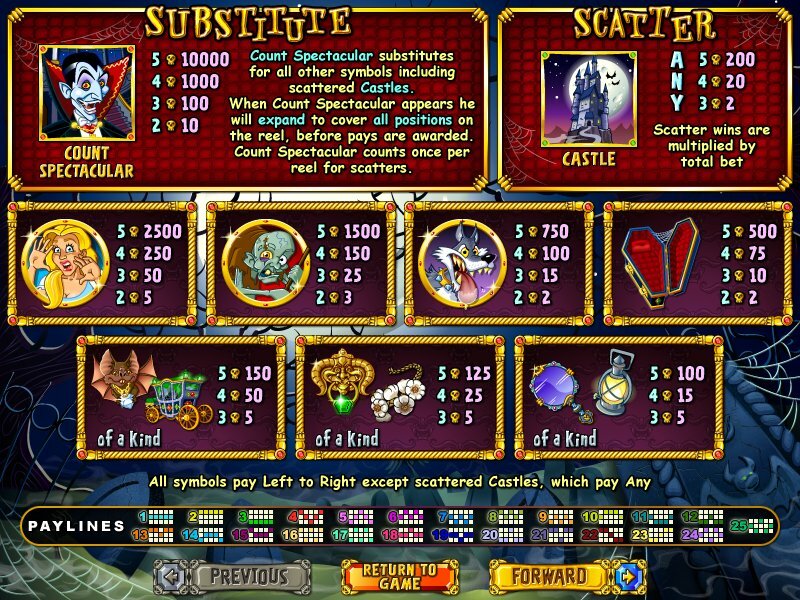 The Feature is triggered when the Count appears on both Reels 1 and 5. You can then choose to play either 12 Free Games with triple prizes, or 4 Re-spins. The Count on Reels 1 and 5 is held if Re-spins are selected, while the other reels spin 4 times. It won't be long before you're mesmerized by Count Spectacular! 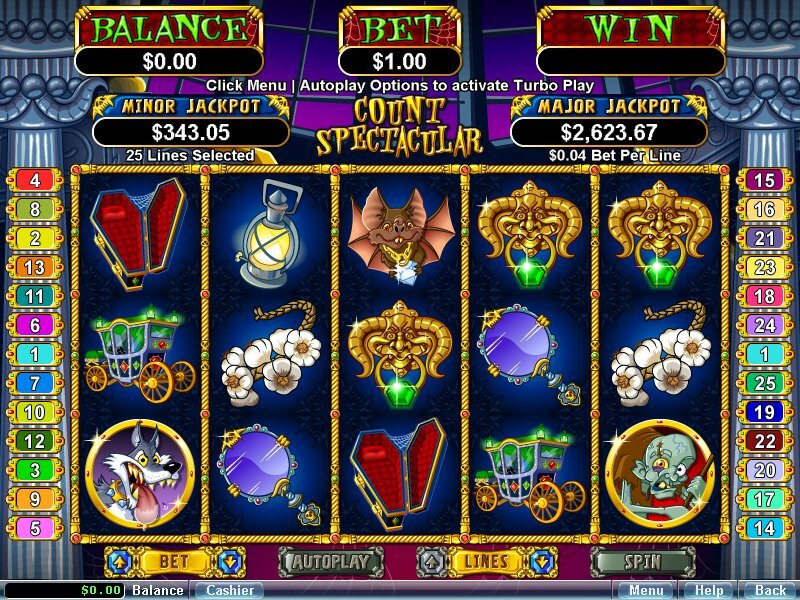 Similar Slots: If you like Count Spectacular, you might like these other slot machines from RTG: Crazy Vegas, Fame and Fortune, Haunted Opera, Texan Tycoon, White Rhino, Wild Wizards.